If you are a change practitioner, chances are you've had several questions about how to begin applying or customizing change management at your organization. There are several resources to help you answer these questions. Here on the Prosci blog is a great place, as is the Prosci Change Management Library. 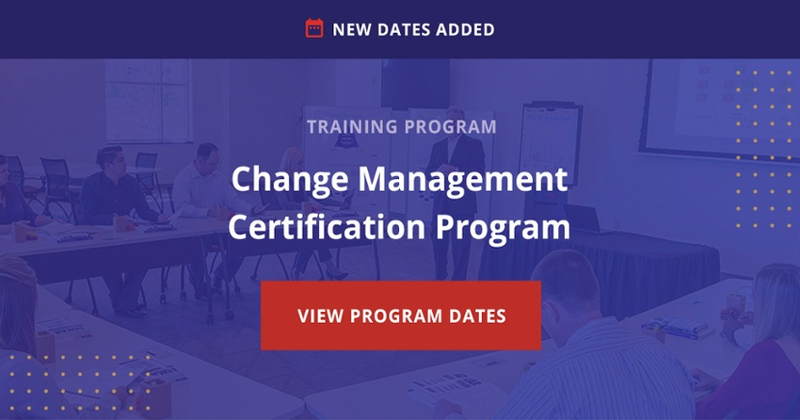 But now Prosci-Certified Change Practitioners can get more specialized support to realize better results: 12 months of live, on-demand support with a dedicated change management advisor. Our aim is to ensure that every client and every practitioner has the tools and support they need to succeed. View the infographic below to see how it works, then get started on our Virtual Coaching for Change Practitioners page. Michelle Haggerty has been with Prosci for over seven years and specializes in helping organizations around the world realize their intended results, from small incremental changes to large, transformative changes through the application of change management. Michelle’s main focus in helping client organizations realize success is through knowledge transfer. Michelle leads the strategic direction of Prosci’s training offerings and oversight of delivery quality.